CAPTAIN N.L. 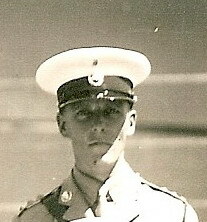 W. MILLAR ROYAL MARINES (ACTING). H.M.S. Neptune. Royal Marines. 19th December 1941. Age 23. Son of Dr. Alexander Fleming Wilkie Millar, M.D., and of Eva Wilkie Millar (nee Millar), of Edinburgh.